Holidays in Costermano ↔ Discover Lake Garda! Golfing in the picturesque countryside with panoramic views of Lake Garda! Costermano is a small, quiet village in the countryside of Lake Garda. 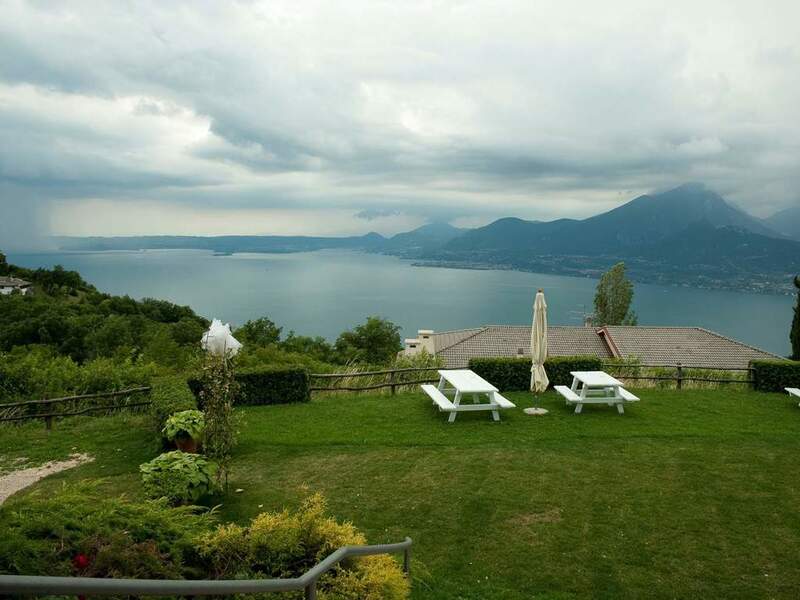 It is located near the famous resort of Garda and just 25 km from the city of Verona. Those that come here can appreciate the cosy atmosphere and the close proximity to the lake. The village is well spread and set in the rolling hills. It has made a name for itself through its wooden handicrafts, which are made in the old traditional way. In the workshop ARPA, you can see how simple pieces of wood become precious toys, utensils and furniture. Costermano is considered the equestrian centre "Centro Ippico Rossar" to horse lovers. Costermano has an excellent Golf Club Cà degli Ulivi, that golfers will enjoy. View from Costermano towards Lake Garda. The restaurant is located between Costermano and San Zeno di Montagna and offers an excellent cuisine as well as a dreamlike view. Connoisseurs should absolutely not miss a visit in the restaurant that is situated between Costermano and San Zeno di Montagna. The Romanesque church in San Verolo near Castion is part of the municipality of Costermano. San Antonio church in Costermano at Lake Garda. The small village is located in the hinterland of Lake Garda. The lovely winding road to Costermano and San Zeno di Montagna leads to the Michelin star awarded Casa degli Spiriti. It's located in a hairpin bend and is a must stop for foodies and wine lovers. The late 18th-century inn was renovated not long ago, and the panoramic view from the elegant dining room and the terrace is outstanding. In addition, Costermano is known for the large German military cemetery, in which the victims of World War II are buried. It is one of the largest German military cemeteries in Italy and was inaugurated in 1967. The cemetery in Costermano was the result of an agreement between Germany and Italy to provide a worthy final resting place for the German soldiers who died in northern Italy during World War II. Because of its easy accessibility for the numerous German tourists, Costermano was chosen as its location. The cemetery is terraced on the hills of the Guardia, in a valley between the Caprino plain and the Garda bay. The German-speaking services that take place on the hill in the open air are very impressive. On the top of the hill is an elaborate cross formed by the artist Manfred Bergmeister. The military cemetery has caused some controversy for a few years, as a few Nazi war criminals are buried there. The accommodations at Costermano were rated 3.9 out of 5 stars by 7 users.